As a Southern Homecook, I personally love Asian cuisine esp stir-fry which is a quick and tasty dish and can use whatever you want in it!! 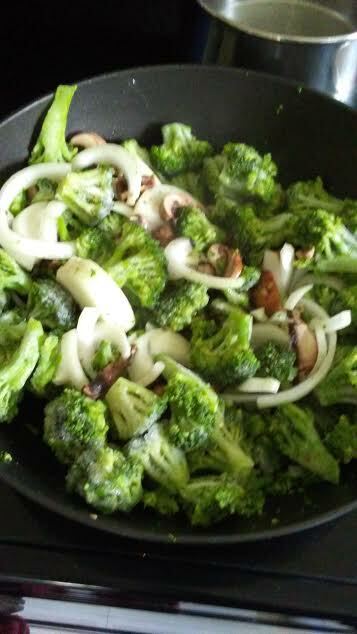 I checked my refrigerator and noticed several items to use along with the pack of boneless, skinless chicken thigh...several baby portabello mushrooms, sweet onions, broccoli, and Hoisin sauce!! 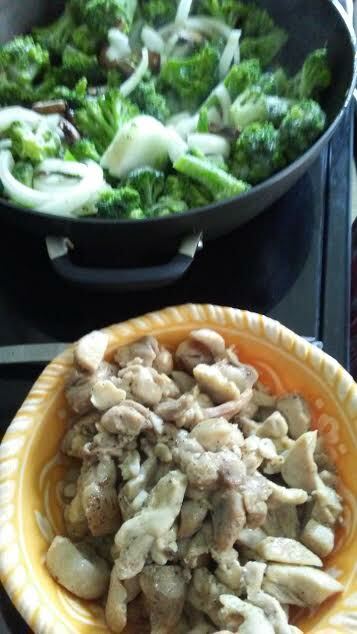 Once I stir-fryed the chicken in the wok pan, I began stir-frying the veggies!! 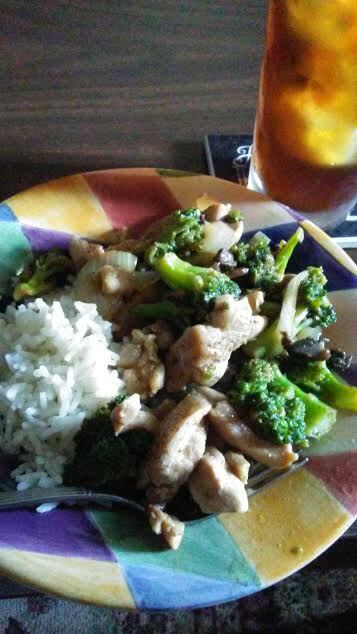 I added the cooked chicken to the veggies and poured just enough Hoisin Sauce on to cover this dish!! 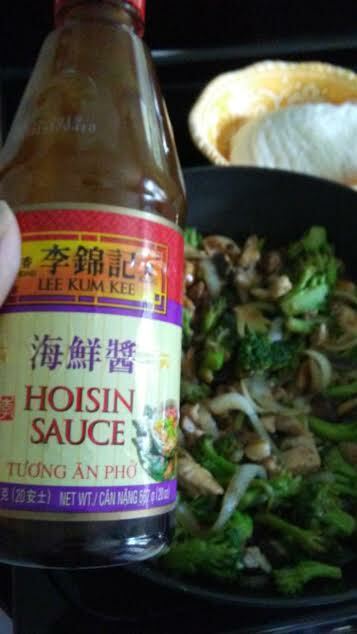 I like this sweet and salty of this Asian sauce but be mindful of the sodium content!! I used some instant rice because my family is cleaning up the cupboards in preparation for Fall Cleaning but I use small portion to help maintain my smart goals and loaded more of the veggie/meat portion instead!! 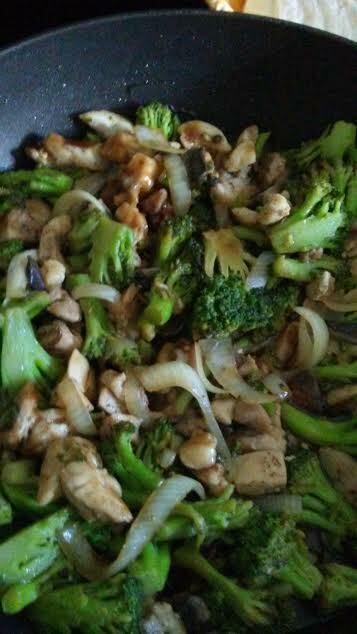 My tween son also loved this chicken stir-fry dish esp the mushrooms which he tried finding and eating first!! My family and I do love making homemade Asian stir-fry! !